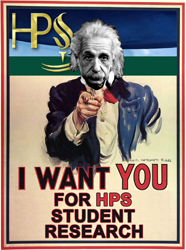 In response to increasing student interest in science’s latest answers to the Big Questions, and the growing importance of science in today’s knowledge economy, Sacramento State has joined the ranks of top-tier universities offering History and Philosophy of Science (HPS) programs, launching its own HPS Program. 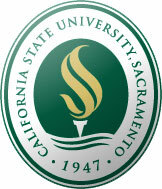 "Sac State Initiative Combines Science, History and Philosophy"
In collaboration with the Department of History, with the expertise of its many faculty with strong publication and teaching records in the areas of history of science, history of medicine, and history of technology, Sacramento State’s HPS Program will be a joint initiative bridging the College of Arts and Letters with the Center for Philosophy and the Natural Sciences (CPNS) in the College of Natural Sciences and Mathematics. 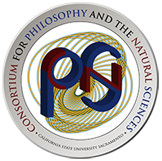 This partnership will enable Sacramento State’s HPS Program to leverage CPNS’s international team of research fellows, strong research and publication record in philosophy and the natural sciences (including articles in Nature, Foundations of Physics, and other top journals, as well as numerous books from publishers including Oxford University Press, Springer, etc.) and grant funding in philosophy of science (approximately $1 million since 2008) into strong courses, research internships, advising, and programmatic offerings for Sacramento State students. CPNS Graduate Courses at U.C. Berkeley - Graduate Theological Union: Starting spring 2015, in collaboration with CPNS's Program for Science and Human Values, U.C. Berkeley-GTU will be offering occasional graduate courses that explore the history and philosophy of religion and modern science. The first of these graduate courses, 'Orthodox Christianity and Modern Science: A Dialogue with the Western Scholastic Tradition' was taught by CPNS Director Michael Epperson spring 2015. Ecology of Practices Research Network: An affiliation of research centers spanning diverse disciplines in the sciences, humanities, engineering, and the arts, this network includes CPNS at California State University, Sacramento; the Program for Computer Aided Architectural Design at ETH Zurich; and the Synthesis Center in the School of Arts, Media & Engineering at Arizona State University. We focus on those disciplines where engineering and technology serve as a bridge between experience and scientific formal structures and conceptual frameworks. Ontogenesis Process Group: Sha Xin Wei (ASU), Stuart Kauffman (Santa Fe), Giuseppe Longo (École Normale Supérieure), Adam Nocek (ASU), Cary Wolfe (Rice), Phillip Thurtle (Univ. of Washington), Gaymon Bennett (ASU), Erin Espelie (University of Colorado Boulder), Michael Epperson (CPNS - CSUS). The Ontogenesis Process Group is a research stream animated by the thesis that the living world in all its modes—biological, semiotic, economic, affective, social, etc.—escapes finite schema of description. Our work is based on a deep and sustained engagement with biological, physical, and computational sciences, operating in conjunction with anthropological, philosophical, and artistic modes of inquiry. Michael Epperson, Director, Center for Philosophy and the Natural Sciences. In this course, we will study the historical evolution of the intuitive (i.e., in the Greek sense of careful koinos nous or careful ‘common sense’--classically logically reasonable) conceptual foundations of modern physics, including the special and general theories of relativity and the latest interpretations of quantum mechanics. We will trace this evolution from its origins in ancient natural philosophy, through the medieval and early modern periods and the Enlightenment, up to the present day. This course offers an examination of the historical foundations and evolution of ancient science, from the natural philosophy of the Presocratics to post-Aristotelian thought, with emphasis on issues relating to Greek physics, medicine, and mathematics. In particular, we will explore the ways in which the conceptual frameworks underlying ancient Greek philosophy of nature (what we call ‘science’ today) evolved into the medieval period, were later challenged by the scientific revolution of the early modern period, and then partially rehabilitated in modern science in several fundamental areas, including current theories of complex natural systems and quantum physics. This course explores the historical evolution of contemporary physical science from its innovative conceptual foundations in the early modern period. Along the way, we will examine the ways in which these revolutionary innovations themselves can be seen as evolutionary innovations—a history of natural philosophical inquiry and methodology that can be traced back through the medieval period to antiquity. 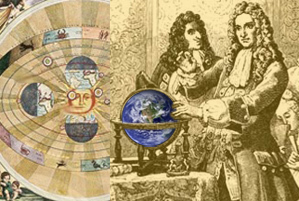 Some of these revolutionary/evolutionary innovations include the replacement of geocentric cosmology with heliocentrism, the rise of the hypothetico-deductive ‘scientific’ method, the development of new techniques and technologies of observation, and the rise of formal mathematical models. While past historians of science had established the conventional term “Scientific Revolution” to collectively describe these innovations, modern scholarship in history and philosophy of science (HPS), which more rigorously examines both the history and the conceptual content of scientific ideas, has done much to illuminate the evolutionary character of these innovations. As a result, contemporary history and philosophy of science recognizes that the rise of modern science is understood properly not as a single historical period in time, but rather as an extensive process of formal, natural philosophical inquiry whose roots begin in antiquity and whose ascent and role in society continues to evolve. History of Science and Medicine in the U.S.
History of Technology in the U.S.
Timothy Eastman, a space physicist at NASA Goddard, and Senior Research Fellow at CPNS specializing in space plasma and plasma astrophysics, will give a series of 2 lectures on the history and philosophy of modern cosmology and recent breakthroughs in our understanding of the origin of the universe. November 6 - "The Plasma Universe: Gravity Plus Electromagnetism"
Professor Robert Geyer of the University of Lancaster, will give a lecture on complexity theory and public policy. November 19 - "Using Complexity to Help Understand and Manage Public Policy" - California State University, Sacramento. As part of Sacramento State's History and Philosophy of Science Initiative, CPNS Undergraduate Student Research Fellows develop and implement interdisciplinary research projects bridging empirical inquiry within the fields of the natural sciences and mathematics (NSM) into cross-connection with the field of history and philosophy of science (HPS). These faculty supervised student research projects give undergraduates crucial experience in the synthesis of new ideas and their proper investigation via both empirical study and analysis of scholarly literature in the natural sciences, philosophy of science, and history of science. Beyond these goals, the CPNS Student Research Initiative provides students with the unique opportunity to network and collaborate with both CPNS Graduate Research Fellows and CPNS Faculty Research Fellows across multiple institutions, both nationally and internationally. Student Research Coordinators earn 3 units as a College of Arts and Letters Internship (ALS 195). Click here for our recent project: "Tesla's Oscillator." CPNS Graduate Student Liaisons Christopher and Elizabeth Keys at Duke University (both BS in Physics and MS in Electrical Engineering at CSUS, and currently begining their PhD studies at Duke), Michael Fitzpatrick at Stanford University (Department of Philosophy) and Miles Andrews at San Francisco State University (Department of Philosophy) provide mentorship and advising to Sacramento State undergraduates interested in exploring graduate studies. Elizabeth Keys is a CPNS Graduate Research Fellow and a new PhD student and research associate in the Department of Electrical and Computer Engineering at Duke University. Having earned her B.S. in Physics and M.S. in Electrical Engineering at CSUS, Elizabeth was also a student coordinator CPNS's Ultimate Questions Discussion Group. Elizabeth has won multiple Royal Vandenberg and James Clerk Maxwell Awards, is a member of the National Physics Honor Society, and has worked on a number of different research projects, including the 2016 BLAST (Balloon-borne Large-Aperture Sub-millimeter Telescope) project, serving as an instrument designer (Elizabeth designed a pinhole sun sensor instrument package). Recent research projects include an analysis of semi-elastic collisions in ballistics and a study investigating negative refraction in metamaterials. Christopher Keys is a CPNS Graduate Research Fellow and a new PhD student and research associate in the Department of Electrical and Computer Engineering at Duke University. Having earned his B.S. in Physics and M.S. in Electrical Engineering at CSUS, Christopher was also a student coordinator CPNS's Student Research Initiative, developing an historical and scientific analysis of the Tesla Oscillator and its potential applications in modern structural engineering. Christopher has won multiple Royal Vandenberg and James Clerk Maxwell Awards. He has served as the President of the local chapter of the Society of Physics Students, and during his entire tenure at CSUS has served as a volunteer physics tutor. In addition, Christopher has worked on a number of different research projects, including the 2016 BLAST (Balloon-borne Large-Aperture Sub-millimeter Telescope) project (he designed and built the pressure vessel and internal components housing the data storage unit). Michael Fitzpatrick is a graduate student in the Department of Philosophy at Stanford University and a CPNS graduate student research fellow currently working on problems in metaphysics, particularly in issues of parthood, causality, evolution, as well as philosophy of language topics on meaning. His essay, "The Metaphysics of Evolution: Against Ted Sider's 'Against Parthood,'" was published in the most recent edition of Process Studies. He has given talks at various philosophy conferences along the west coast on the debate between realism and anti-realism, as well as the relationship between philosophy, the sciences, and human life. He is most prominently influenced by the philosophical work of Baruch Spinoza, Alfred North Whitehead, and Alain Badiou, and is currently working on an essay comparing the metaphysical systems of Whitehead and Badiou. He will be participating in the Sally Casanova Pre-Doctoral Summer Internship program at UC Davis under the direction of Dr. Adam Sennet for summer 2014, and in fall 2014 will begin his Ph.D program in philosophy at Stanford University. Miles Andrews earned his BA in philosophy and religious studies at CSUS via a specialized joint-major program, and will begin his graduate studies in the Department of Philosophy at San Francisco State University in fall 2014. His paper "Divine Hiddenness and Affective Forecasting," which incorporates findings in the field of cognitive psychology, was published in Res Cogitans in 2014. Miles' philosophical interests lie mostly in the philosophy of religion, specifically religious epistemology. He is particularly interested in recent scholarship exploring the cognitive science of religion, and his graduate work will focus on the areas of epistemology, political philosophy, and the intersection of philosophy of science and religion (e.g., the philosophy of space and time and the fine-tuning argument.). If you are interested in the history and philosophy of science and are dissatisfied with increasingly carnival-like popular discussions of topics like quantum cosmology and ‘multiverses’ that you find on The Science Channel, then join this faculty moderated, weekly evening discussion group. See www.csus.edu/cpns/discussion.html for more details. The Student Discussion Group Coordinator earns 2 units as a College of Arts and Letters Internship (ALS 195).